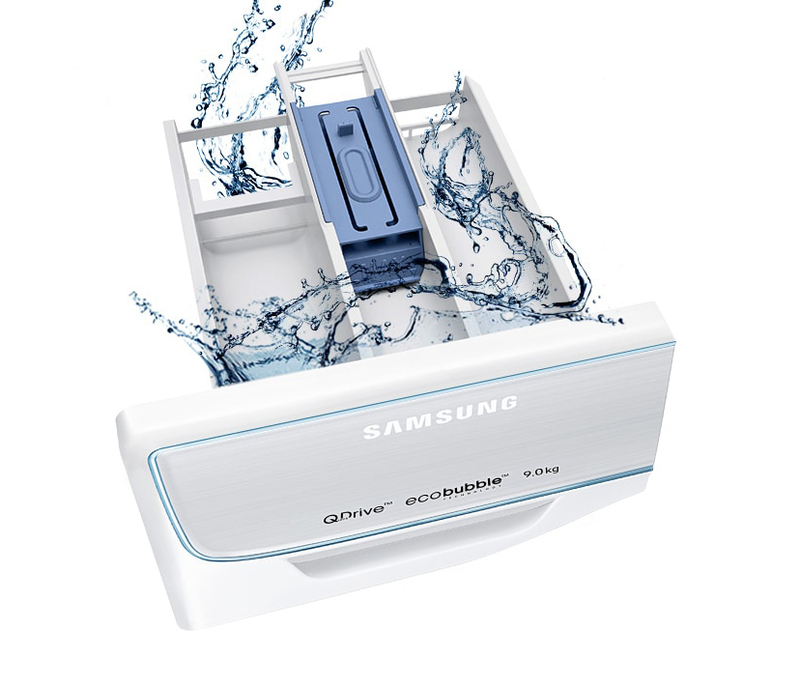 QuickDrive™ delivers a full clean performance in up to half the time with 20% less energy.1 Its ‘Q-Drum™’ has a ‘main drum’ and a ‘backplate’ that rotate independently, ensuring clothes move in dynamic action powered by double forces. 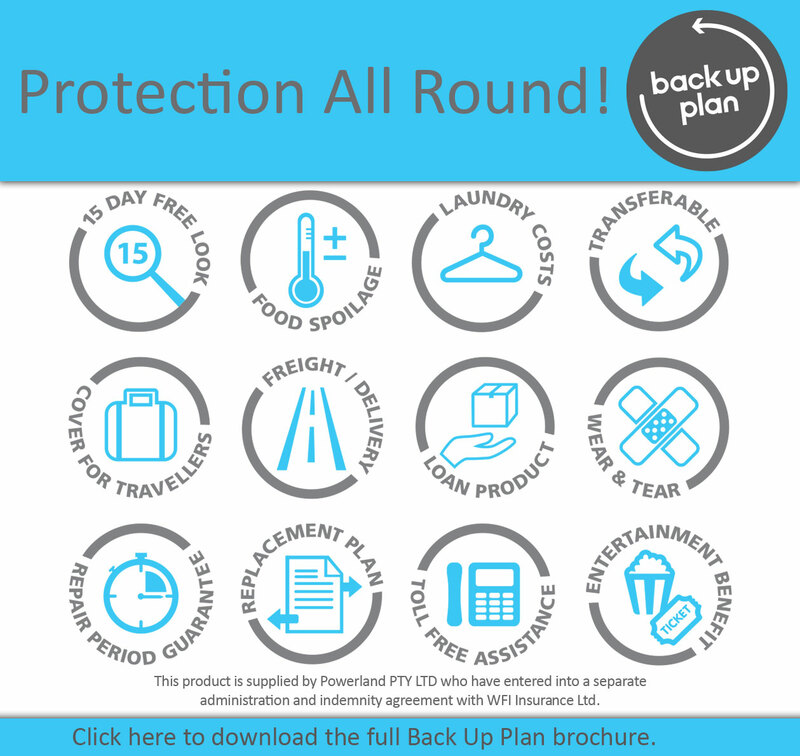 It washes quickly, powerfully and gently. 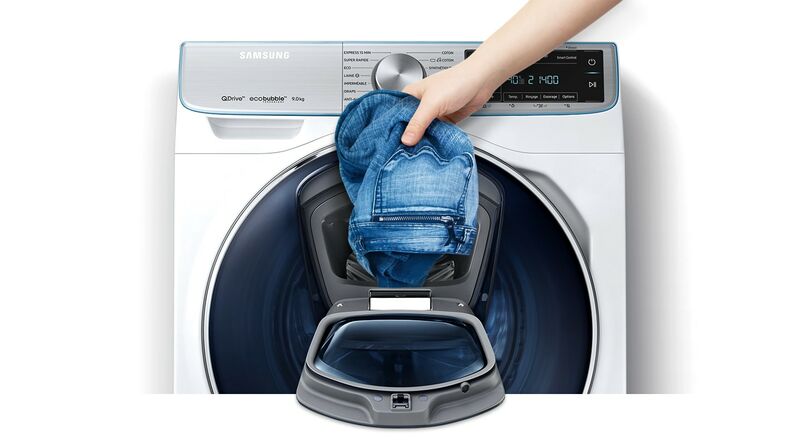 Laundry Recipe' acts as your personal laundry expert and recommends the optimal wash cycle for each load. 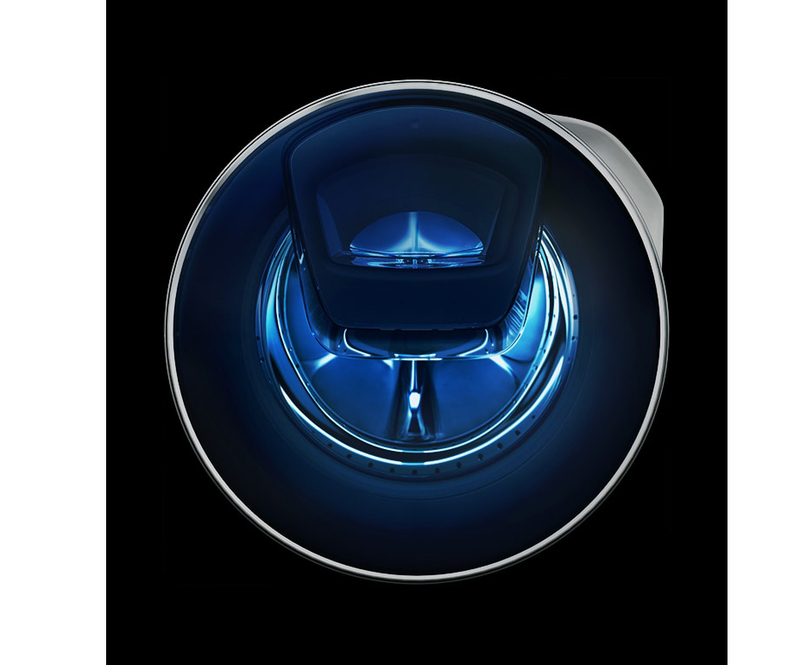 Give your clothes a really deep and hygienic clean with steam. 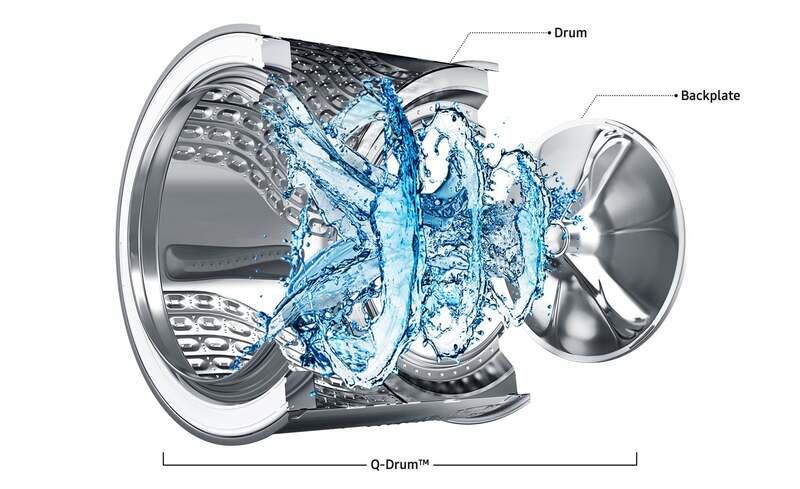 New powerful Hygiene Steam Cycles release steam from the bottom of the drum and reduce up to 99.9% of certain common bacteria4 on certain cycles. 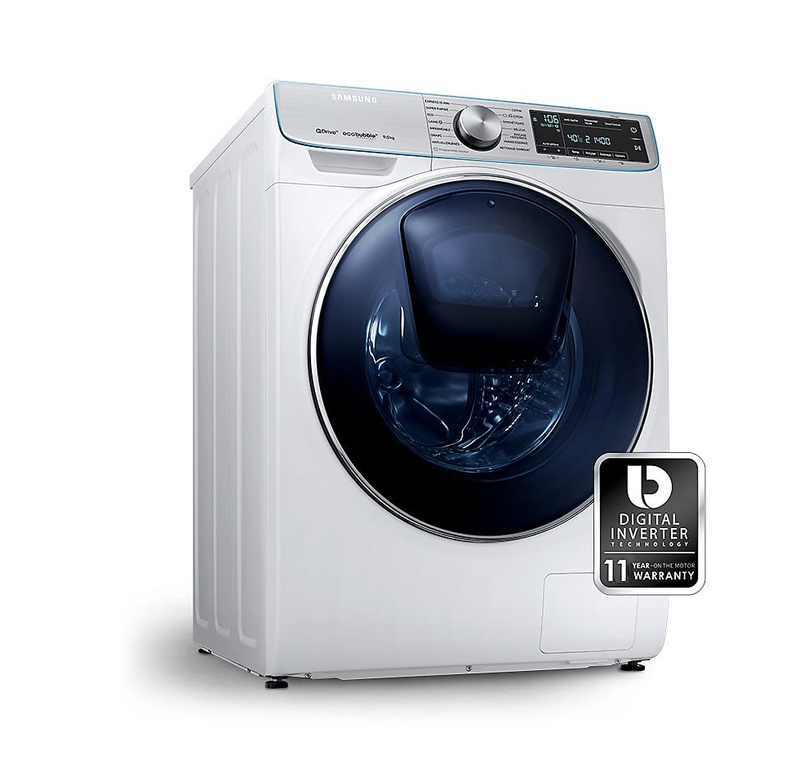 The Super Speed cycle now cuts the time of a 5Kg wash to just 39 minutes. 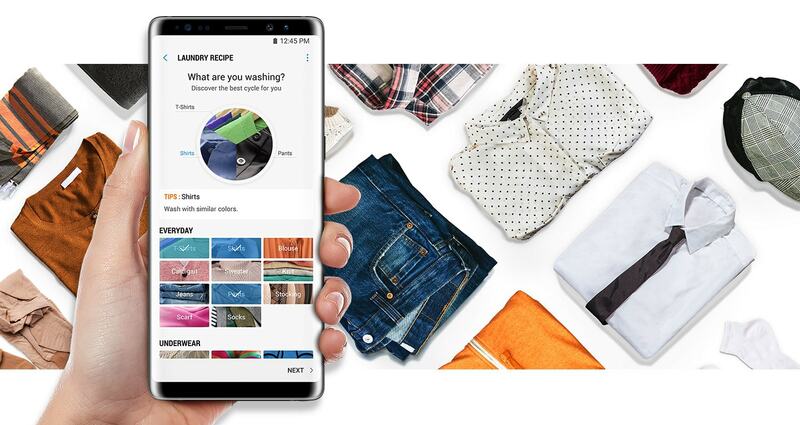 QuickDrive™ technology helps save time by moving clothes dynamically. 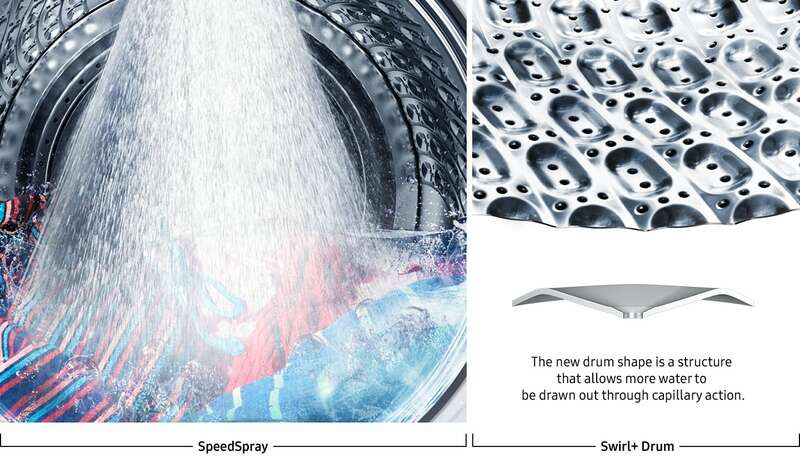 The rinsing time is also shortened using a Speed Spray and accelerating the spin speed. BubbleWash™ is designed to help generate foam by pre-mixing detergent with air and water from the beginning of the cycle. 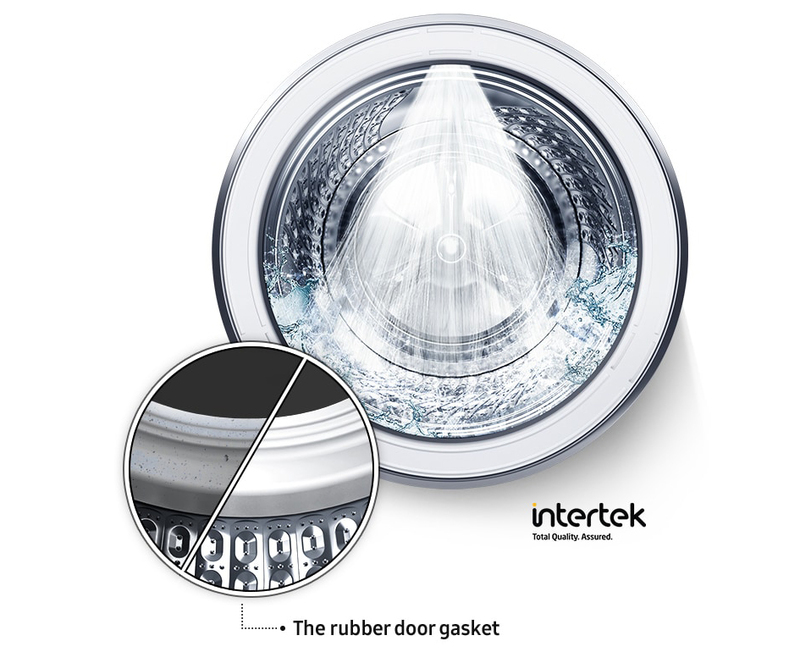 And BubbleSoak is an optional pre-treatment cycle in which clothes are thoroughly soaked in active bubbles before your wash cycle. 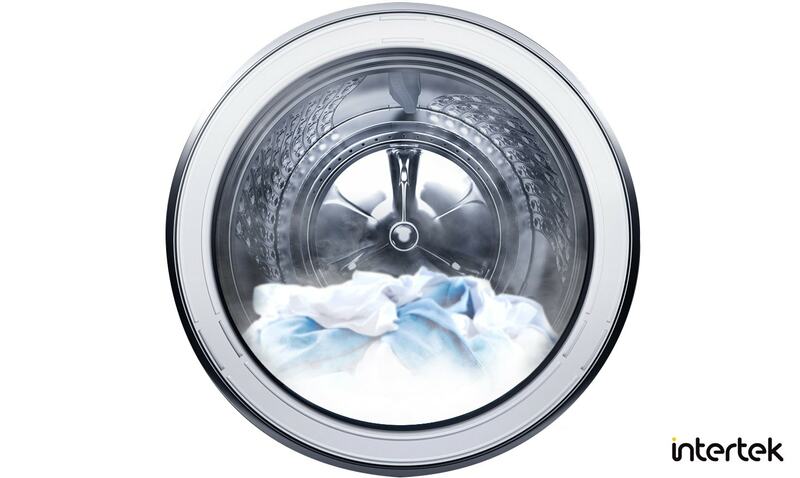 Eco Drum Clean cleans inside your washer to help eliminate odour-causing bacteria without using harsh chemicals. The frictional force of a powerful water jet and fast spinning also helps remove dirt from the rubber door gasket. It even notifies you when it needs cleaning. Low fuss for a long time - digital inverter motor with an 11 year parts warranty. The motor works without brushes, which helps to reduce the number of separate moving parts and friction, making for a low vibration motor with a quiet wash cycle.